Promoting Independence: Self-Help Skills - I Love ABA! 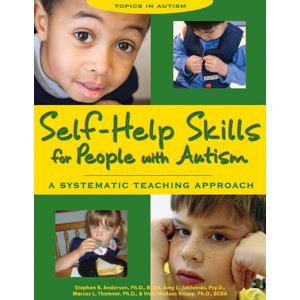 Self-help skills are those functional skills or tasks that build independence, self esteem, and increase the likelihood that a child will be successful across multiple environments. I think teaching self help skills is incredibly important, yet I often see these programs being skipped or left out of a treatment plan. For parents of a child with Autism, they are typically very used to helping their child be successful. From an early age Mom or Dad have been prompting their child (even if they don’t know the term “prompting”, they have probably been doing it for years), modifying the environment to help their child, calming emotional outbursts/being a safe haven, etc. So by the time you meet a family, the parents have probably fallen into a habit of doing whatever they can to help their child get through each day. Problems can arise when this loving and caring help goes on for too long, across too many environments, and hinders development. Here is a very typical experience for me: During intake, I ask parents lots of questions about what their child can and cannot do. When I get to self help skills (can your child independently brush teeth, bathe, prepare a snack, etc) I usually hear "I don't know...I'm not sure...I do it for him". That is a big red flag for me that the child has little to no independence skills. Part of typical childhood development includes a separation from Mom and Dad and learning to care for yourself, learning to calm yourself, and problem solving, e.g. “I’m in a new public setting and I have to use the bathroom. 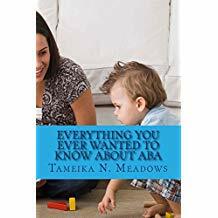 What do I do?” Emotionally, it can be difficult for a parent to start to separate from a special needs child, and to begin teaching the child skills that will lead to independence. It can be difficult for parents to let their “baby” start learning big girl/big boy skills. 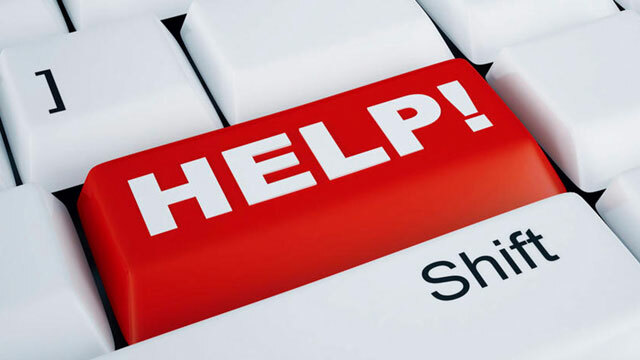 So understand that even if you have sound and reasonable reasons for wanting to teach self-help skills to a client, the parents may push back a little bit. When first meeting a new client, problem behaviors and lack of language can overshadow any other goals. Parents usually express frustration and fear over their child’s lack of communication, or aggressive outbursts occurring multiple times a day. As the professional, even if the parent does not express a concern about self-help skills you should be the one to address it. Don’t think teaching self-help skills is that big of a deal? If a child is lacking self-help skills they can have a developmental age that is years below their chronological age. Just think about a 9 year old who yells “Wipe me!” from the bathroom, because he still can’t wipe himself after bowel movements. Or a 4 year old who is still spoon fed by Mom. Or an 11 year old who cannot button or zip up his clothing. 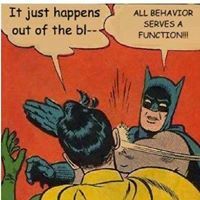 The VB-MAPP, Vineland, and ABLLS-R assessments all include some type of self-help/adaptive skill domain. This is an important area of teaching; don’t skip it. The first step in determining self-help deficits will be the assessment process, and observation. I wouldn’t advise just asking the parents about self-help skills, because parents can over or under estimate the independence level of their child. Always observe the child in the natural environment to make sure the information you were given about their level of independence was correct. Think about self-help skills that are developmentally appropriate, will make the child more successful in social settings or across environments (the biggest example of this is Toilet Training), and any self-help deficits that are placing undue burden on the parents. For example, do the parents have to bathe their 13 year old son each night because he is incapable of taking a bath? If so, that is a self-help deficit that should be targeted for intervention. Think about how much it will help that family, and empower that child, if he can start to bathe himself. If you still are doubting the importance of self-help skills, here is my advice for you: Spend some time with a typically developing toddler. Toddlers are standing right in the gap of “babydom” and being a big girl/big boy. They typically want to do things independently even if they don’t have the skill yet. They don’t want you to pour their cereal or pick them up and put them on the couch: they want to do it by themselves. Compare a typical toddler to the child or client you care for, and prepare to be amazed at the difference in independence. Just because a child has Autism does not mean they don’t need to learn independence. I’m not going to wipe the nose of a typically developing 3 year old, and I’m not going to wipe the nose of a 7 year old client just because he has Autism. Hand him a tissue, and tell him to blow! I have never met a parent who told me their goal for their child was to be as dependent as possible. So help these kiddos be more independent, by deciding today to stop doing things for them that they can do themselves.